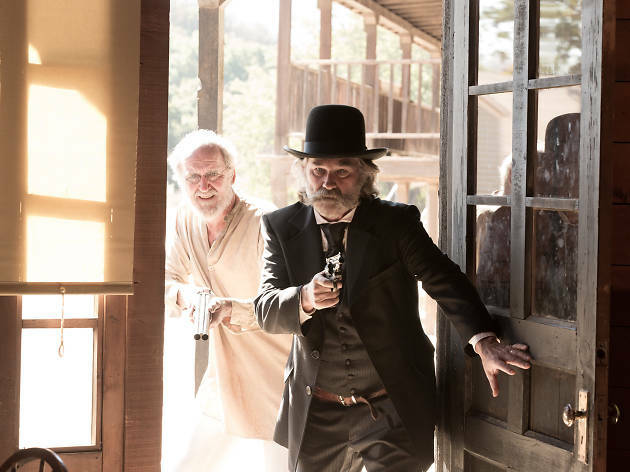 It takes a movie like ‘Bone Tomahawk’ to expose the lily-livered laziness of many production-line multiplex movies. Sure, not every element in this western-comedy-horror-action-drama quite slots into place. But huge kudos to first-time writer-director S Craig Zahler for attempting a movie that’s equal parts charming, strange, goofy, unpredictable and genuinely horrifying – and largely pulling it off. When a murder is committed in his frontier town, Sheriff Hunt (Kurt Russell) puts together a posse to hunt down the killers, and to rescue an abducted woman. Along for the ride are her peace-loving husband Arthur (Patrick Wilson), womanising gambler Brooder (Matthew Fox) and alcoholic doctor Chicory (Richard Jenkins) – none of whom understands the visceral nightmare they’re walking into. 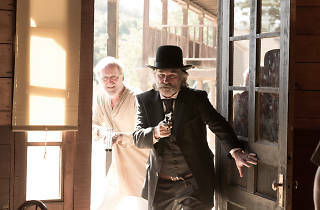 After a series of short, sharp shocks, ‘Bone Tomahawk’ unexpectedly settles down into an easygoing lope-along comedy as our mismatched heroes hit the trail. But when the horror returns, it comes hard. One kill scene might be the most outrageously disgusting I have ever seen (through my fingers). Zahler can’t quite tally up the tonal shifts, and the finale isn’t as pacy and cathartic as you want it to be. But this is a confident, terrifically enjoyable film, superbly written, shot and performed. Just be ready to lose your lunch when the hatchets come out. Oh my. A nasty little western, reminiscent of some of the best from the 70s. I've got a strong stomach but yeah, some of this brought me close to giving up - not a first date flick. Ends disappointedly after such a great build-up but this is one of the best westerns I've seen for several years with a fine, fine cast. A special mix of classic western, comedy and gore make this movie enjoyable to the horrific end. Excellent cinematography and great cast make it a must see in my book.